BARTOW, Fla. — Two Polk County schools have been cleared for safe drinking, another two remain under watch as lead testing continues. 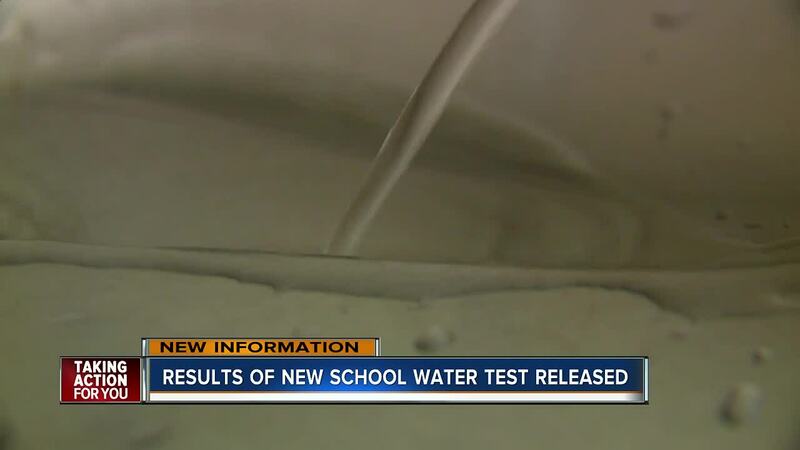 The Polk County Public Schools announced today that follow-up testing results show lead levels have been reduced in the water in two schools: Cleveland Court Elementary and Inwood Elementary. Winston Academy and Union Academy still require further testing. The district says it is also hiring more consultants to speed up testing throughout the county. Based on the second round of testing at the initial schools tested, Cleveland Court and Inwood Elementary will be able to use fountains, sinks and cooking water as usual. For children at Winston and Union, water is being provided. “They say no drinking water from school,” Falguni Shah, a mother of two children who has been drinking the Union Academy water for years says. She says her kids seem to be healthy. However, with the latest results, she worries about her eighth-grade daughter who usually drinks from the fountains after physical education. “Yeah she usually drinks before,” Shah said. Her children do get regular doctors appointments, but there haven’t been any scares. Children attending Union Academy tell ABC Action News they heard about the high levels of lead found throughout the campus, but that they are not worried. “They bring water bottles inside the classes,” Luis Cortez, who attends the school said. He says it’s creepy but none of the kids are too concerned. ABC Action News found out last week that the schools hadn’t tested any public school for lead since the 1990’s. When we asked if this would change, or any policies would be put in place to test more often, the school said they are doing this voluntarily. The EPA only recommends public water to be tested but hasn’t set any time constraints for municipalities to do so. Parents were surprised to find out it had been so long, thinking it may have been done possibly every five years. We asked what they would prefer. “Yeah I would say more often for kids, for kids health,” Falguni Shah said. In 1986 a law was set banning any lead piping to be used in new construction. Because of this, Polk County Public Schools says they are confident schools built before 1986 will come back safe. Once the two schools, Union Academy and Winston Academy are cleared for use, the district will then start testing all schools. Officials say about 10-12 schools will be tested per week up until the holidays. This does include charter schools. The third round of testing results for the two schools should be released by next week.